Subrata, a daily wage labourer, still striving hard to make his ends meet. Family members include 4 skinny skeletoned children, a feeble wife and an infirm father who earlier worked at a brick kiln as a daily wage labourer. Three generations down and still counting, yet the kids remain pot-bellied and hungry since there is no money to sustain the family whatsoever. Wake up India! This is a stark reality check of our dismal ranking (16)in the Global Hunger Index. The images above are from two different timelines: 1970’s and today. Think for yourselves, do these images truly present a contrasting picture as expected? This raises eyebrows and a need to answer the fundamental question on how to deal with poverty and hunger. Is our method of giving subsidized food to the masses really satisfying the basic need, let alone the nutritional benefits derived? 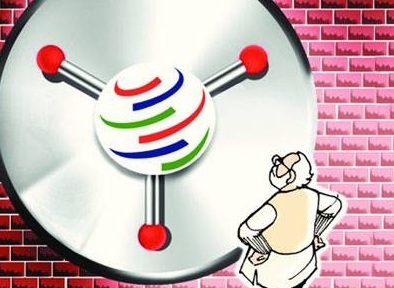 Can India really hold on to the subsidized model and forego the opportunity for Trade Facilitation Agreement at the only global consensus building forum: the World Trade Organisation? Extending from the Doha round of talks of 2001 to the recent Bali declaration of 2013 with respect to Agreement on Agriculture, the Indian scenario on Amber Box subsidies hasn’t changed. International trade in agricultural domain thus hasn’t progressed too far and thereby we are jeopardising our relationships with the global forces mostly Uncle Sam. We have three years to go to re-invent our subsidy cap according to the Peace Clause of the Bali agreement. Keeping emotions aside we need to rethink upon our subsidy caps and further open the agricultural market for higher investment by international forces. We can’t risk dicey relationship statuses with the forces controlling the United Nations, can we? Reorienting, our agricultural policies must focus upon exploitation of the export potential that lies in the agricultural sector. 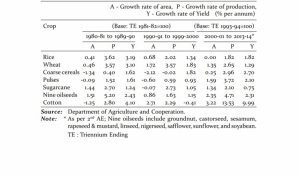 Reduction in disguised employment in the agricultural sector and a corresponding increase of the labour targeted at the secondary and tertiary sectors can be possible only on improving the current skill set of the Indian demographic. National Manufacturing Policy is moving at an optimistic pace and is assumed to reach its set target of creation of a 100 million jobs by 2025 in the manufacturing arena. The National Skill Certification and Monetary Reward Scheme (STAR) and enlightening role of the Panchayat and NGOs for the importance of skill development is catering to the issue of disguised employment in agriculture in a big way. The real challenge lies in the effective implementation of these policies. Our Index of Industrial production (IIP) has fallen. We need technological cooperation with the capital intensive industries of the developed world to increase the share of the secondary sector in the overall GDP. In spite of the unpredictable monsoons, India is one among the largest producers of food grains in the world (264 trillion tons), and this figure has constantly been increasing which thereby projects a positive potential for export in the forthcoming years. As perceived wrongly, Indian hunger situation is not because of the lack of shortage of food, but the gap lies in the lack of an efficient storage system and supply change mechanism. Now, optimistically (and practically too), looking 5 years down the line, this gap will be addressed. Then we might build up a strong export potential in the food grain sector also; but will the world open its gates to us if we close our windows to them now? Sadly then the WTO also won’t be of much help. Indian denial of the Trade facilitation agreement is primarily critiqued to the acceptance of the Food Security Bill (FSB).The food security bill reiterates on “good politics but bad economics”. Political populism defines the Indian parochial political culture. But economic rationality must define policies rather than a “vote” security bill. This economic rationality demands proper export-import management to pull down widening CAD and ease out inflationary pressures. How can then we miss the Trade Facilitation Agreement. The economic cycle of reduced inflation enhances savings resulting in increased investments thereby greater economic growth. The increased output enhancing the economic resources of the country thereby strengthens its ability to reorient and streamline its agricultural policies on the grounds of economic rationality. 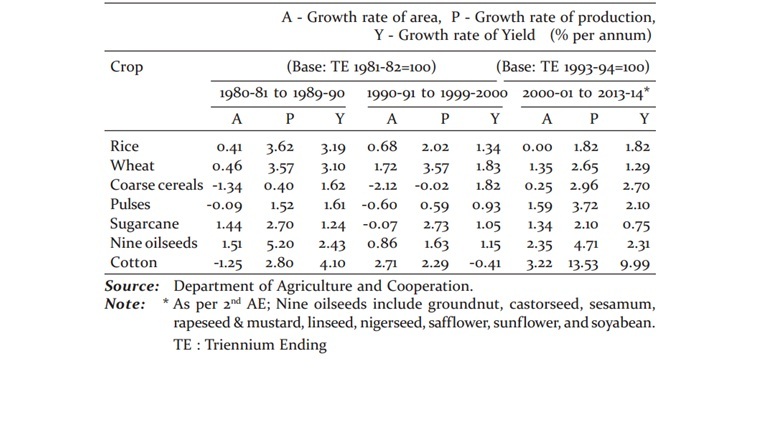 Imagine what would happen if we scale up our per hectare yield. Wouldn’t our total food grain production increase manifold. This will give a push to bring down the alarming rate of farmer suicides. How can this be done? We need cutting edge technologies? Its rather politically and administratively immaturish to antogonise the developed countries whom we need for technology diffusion. The Green revolution was executed perfectly due to help from these developed countries. And now when we are planning to launch another Green revolution, isn’t it wise to seek support from the technological gurus? The TFA is a platform to strengthen out multilateral relationships. It would be in India’s best interests to constructively participate in WTO negotiations on agricultural and food issues rather than hijacking these agreements. The world has become flat and the Global Village demands increased cooperation by healthy debates and discussions. Cooperation is arguably a mix of trade-offs between the parties. India needs to balance its priorities. Sticking to its emotional stand on agriculture hampers the prospects of growth in the other industries. What we need is agricultural reforms. Our credit system needs to be streamlined, so that the risk of fall in production is eased out completely and the vagaries of monsoon can be challenged by increased technological advancement in the agricultural extension services. We have to move towards Green box subsidies from the amber box one; Don’t we have faith in our vast human resource potential who can come up with landmark innovations in the agricultural sector? How can we forget Acharya Jagdish Chandra Bose? Its high time we wake up from the agricultural trance of running out of foodgrains and being harsh on the farmers. The ratification of the TFA is another form of social welfare which will give increased returns than the present plagued system of agriculture and food management in our country. The focus has to be on how the stalwarts of the administration work out the implementational aspects of the agricultural reforms.